Buying a townhouse on Fraser will place you squarely the center of one of Vancouver’s most colourful and culturally diverse neighborhoods. Once touted as “the new Main Street,” Fraser runs north to south from East 16th to East 49th Avenue and east to west from Elgin to Prince Edward. Named for the street that bisects the neighbourhood, Fraser is a community that truly celebrates diversity. As a densely packed neighborhood dominated by single lot homes, Fraser townhouses are a great entry point for young individuals and families. This neighborhood has a bit of everything. Mom-and-pop style shops lay interspersed between banks, drug stores, and big box grocers. Recently, the community has even gained acclaim as a culinary hub thanks to gems like Les Faux Bourgeois and The Lion’s Den. And don’t forget the pho. With tasty delicacies like jellyfish salad, bubble tea, Taiwanese meatballs, tempura strips, and saucy butter chicken, you’ll eat, drink, and slurp your way to satisfaction. Of course, the real advantage is that Fraser is close to everything! Uptown, downtown, the airport, ferry terminals, and Valley—it’s all within reach thanks to frequent and plentiful public transportation. Families have good access to schools like Sir Alexander Elementary, McBride Annex, Livingstone Elementary, Sir Charles Tupper Secondary, and Oliver Secondary. There are also parks and green spaces galore, including lovely Grays Park, whose pleasant winding paths lead to a charming bowling green, little gardens, quiet seating areas, and modern sports courts. As a residential neighborhood, Fraser is dominated by the aforementioned single lot homes. However, high demand for housing has triggered a lot of new construction, and today quite a few bungalows, townhouses and condos exist in the mix. From pragmatic to practically perfect, Fraser has something for nearly every family and price point. 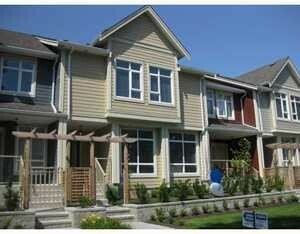 For more information about Fraser townhouses or to set up a viewing, please contact Ariane Benjamin.